Last week, I made chocolate chip peanut putter cookies except that I substituted sunflower seed butter for peanut butter. It is one of my favorite cookie recipes, and I was looking for a way to use up the rest of my sunflower seed butter (see my post on the nut butter taste-cost tradeoff). 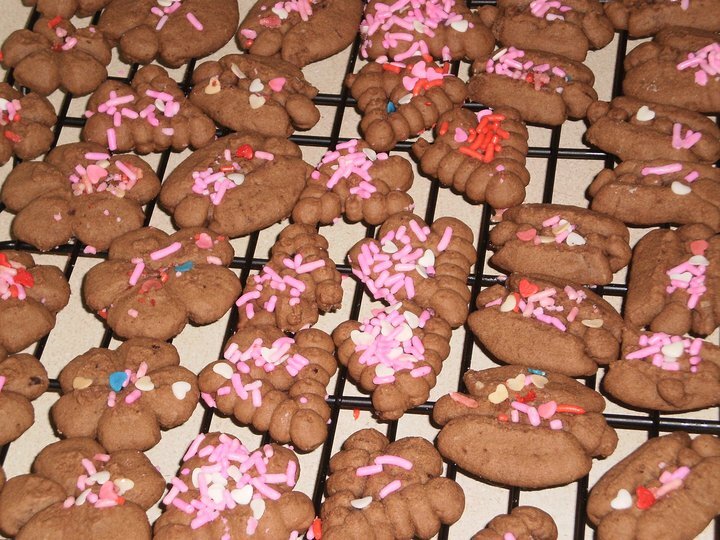 My kids and I ate a few cookies soon after the cookies came out of the oven. A few hours later when the cookies cooled, the insides of the cookies turned a brilliant shade of green. The cookies still tasted fresh and delicious. All plants contain chlorogenic acid, mostly in the stems and leaves, but sunflowers also have it in the seeds. A spokeswoman for Red River Commodities says that SunButter does indeed turn cookies and other baked products green as they cool. The solution, she says, is to reduce the amount of baking soda or baking powder in your recipe by almost half, which balances the acidity of the ingredients and keeps them from changing color. My brother has a PhD in chemistry and offered some feedback. For full disclosure, he is not an expert on the chemistry of cookies, but he knows his stuff. Well, I hate to disappoint, but I neither know the answer nor any food chemists who may. Luckily the ochef link gives some hints: chlorogenic acid (which is NOT chlorophyll – as on sunbutter’s FAQ section) was implicated and that the pH is important. I think it is reasonable to assume that oxidation is the cause of the color change as this can be a slow process (thanks to the activation energies, which saves us from burning). Rates of oxidation can be affected by pH, which can explain the effects of adding baking powder, which contains sodium bicarbonate (a base) and lemon juice (an acidic solution) mitigate the color formation. However, lemon juice contains vitamin C, which in addition to being an acid is a strong reducing agent (anti-oxidant). Neither vitamin C nor its oxidation product will absorb light in the visible region and therefore aren’t expected to produce color. Chlorogenic acid will absorb light, but well into the UV region and not the visible region. It is possible that one of its oxidation products does. But to be honest, I have no idea what all of the ingredients are in sunbutter or how it is processed so I cannot say exactly what is the source of the green color. Chlorogenic acid is a possibility, but there certainly are plenty of other chemicals in the sunbutter that could potentially produce the color as well. 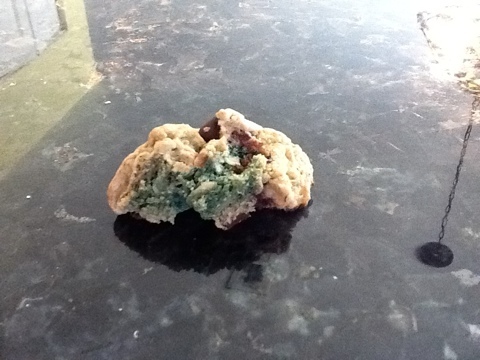 My family and I survived eating the green cookies, so I am confident that we were exposed to an innocent chemical reaction, not botulism or flesh-eating bacteria. Molecular oxygen (O2) is not a good oxidant at the temperatures that we typically encounter, which is great, otherwise we would all catch fire. The reason we don’t is because of the activation energy required for oxygen to burn materials. However, at elevated temperatures (like in a fire or an oven) oxygen will react with many materials, often uncontrollably. As for what is happening in the cookie, I cannot say for sure. Oxidation is often attenuated by pH. Baking soda contains a weak base, sodium bicarbonate (NaHCO3). It is possible that some oils, or certainly the seeds, which are not refined contain much of the chlorogenic acid (assuming that it is the source of the green color). Changing the pH (by adding acids like lemon juice, or bases like NaHCO3) could change the oxidation potential of the chlorogenic acid and give variable amounts of color in baked products. My cookie tasters (i.e., my daughters) loved the new almond crescent cookie recipe that we came up with. I posted it here. There are some obvious substitutions that will probably work, but I’ll let you use your imagination in that department. I wrote this recipe from memory, so if I there is an mistake, let me know and I’ll fix it. Mix the dry ingredients (#1-4). Cut the dry ingredients with the Earth Balance until it resembles crumbs. Add the oil, extracts, and soymilk and stir until the mixture more or less sticks together. Take tablespoon-sized amounts of dough and form into crescents. They don’t rise much, so you can put them close together on the cookie pan. Bake for 14-16 minutes. 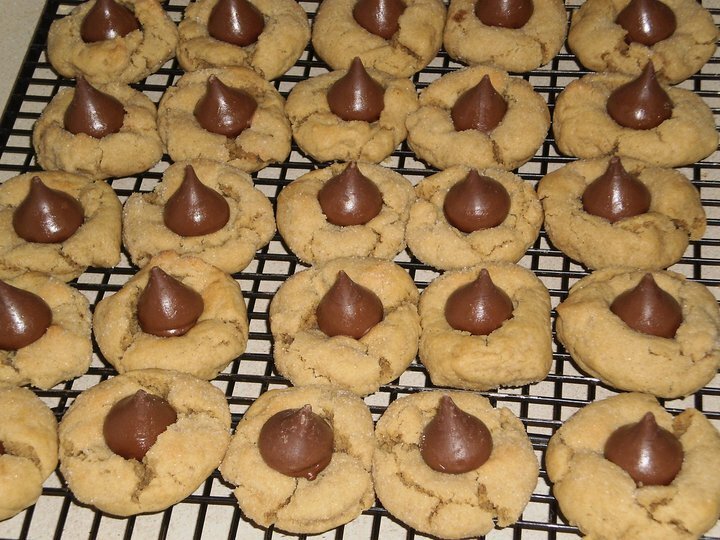 Don’t let these cookies brown. While they are baking, mix the powdered sugar and the cinnamon (I used about 3 big shakes, but more would be better) in a bowl. Let the cookies cool on the pan until they are warm. 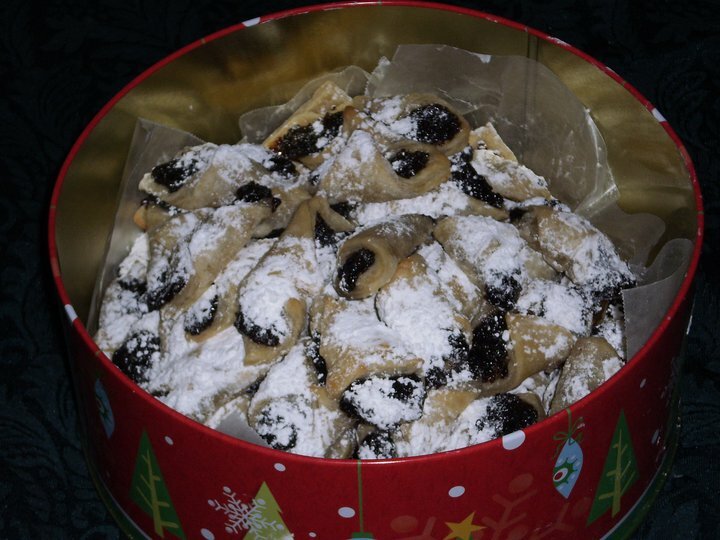 Remove the cookies and cover them with the powdered sugar mixture. 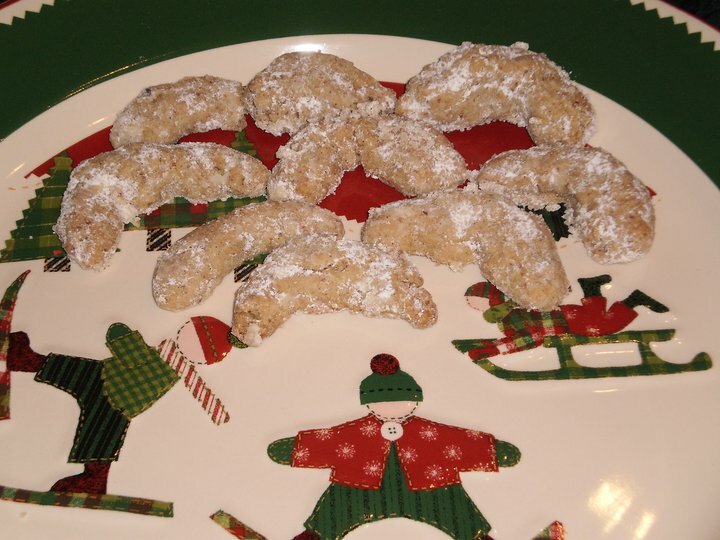 Almond crescents. My kids ate most of them before I was able to take a picture.